Organizing Eppie’s Great Race® is no small task. More than 800 volunteers are involved in the race. From preparing Swag Bag race packets, to parking cars, to recording race results, every volunteer helps make the race possible. 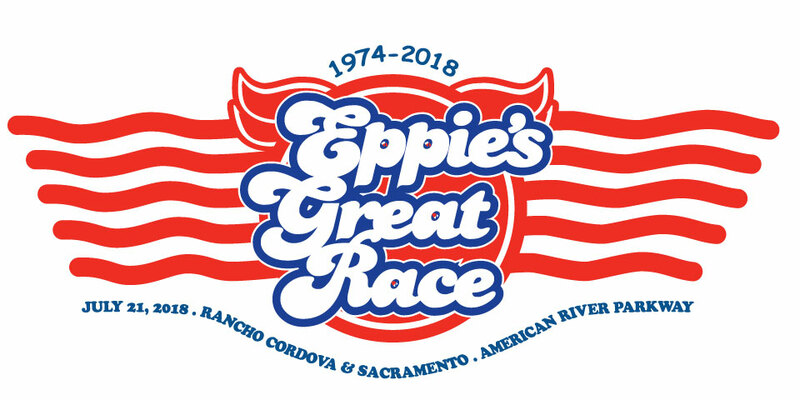 The challenge each year for Eppie’s Great Race® is to continue the recruitment of volunteers needed to staff the pre-race and day-of-race activities. Having enough volunteers is critical to making the race safe and enjoyable. Many clubs and individuals in the Sacramento area volunteer their time each year to help raise money for the Sacramento County’s Therapeutic Recreation Services. Athletes, students, seniors, teachers and naturalists are among the many who volunteer their time in order to help people with disabilities. TRS is also very fortunate to have many former program participants return each year as volunteers to lend their support to Eppie’s Great Race®. Paul A. Garcia was a long-time sponsor of Eppie’s Great Race®, having been involved for over 10 years. Paul was a strong supporter of other local academic and athletic activities, as well, including St. Francis High School, St. Albans Country Day School, Special Olympics of Northern California and River City La Crosse Club. Paul was always a “soft touch” when any child was selling anything for his or her organization or school. He was known for buying out all of the Girl Scout cookies in front of the local grocery store and giving the kids a little extra. Anytime an employee’s child needed a donation for a fund-raising event- with a twinkle in his eye – Paul would ask tough questions of the child and then open his wallet, always giving more than what he was asked to donate. Professionally, Paul was trained as an industrial engineer with an MBA from Oregon State University. He became involved in the multi-family housing industry back in 1974, when he bought his first apartment complex in Redding. Twenty-five years later, Paul owned and operated over 3,500 apartment units in California, Washington, Arizona, Hawaii and Florida. During the past 10 years, Paul became involved in the rehab of over 1,300 low-income housing units. He worked with the Sacramento Housing and Redevelopment Agency on several projects in Sacramento providing affordable housing in hard to develop areas. Paul took pride in supplying quality, affordable housing for the less fortunate. Paul traveled extensively throughout his life, both for business and pleasure. He was a life-long boating enthusiast, collecting and restoring numerous antique wooden boats. He was a board member of the Century Boat Club and regularly participated in the antique wooden boat show in Coeur d’Alene, Idaho. Paul Garcia was a visionary who always pushed those around him to stretch their limits. He was always willing to put his money where his mouth was. His support of Eppie’s Great Race® was a result of his respect for Eppie Johnson and for the participating athletes pushing their limits.